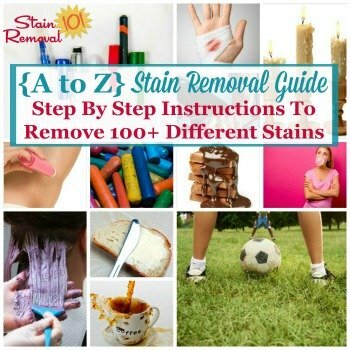 Here are tips and techniques for oil stain removal from clothing, fabric, upholstery and carpet with step by step instructions. 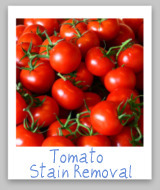 Lots of foods we love to eat are greasy and oily, and this page explains how to remove this type of stain from items in your home. 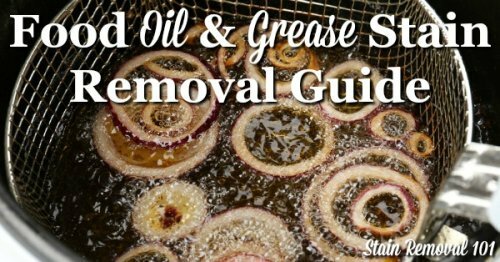 If you are looking for information about mechanical grease and oil stains, instead of cooking oil and grease stains, check out this article on motor oil and grease stain removal for more information. Unfortunately, this grease and oil can spill, splatter and drip not only into our mouth or fall on our napkin, but also get right onto the front of our new shirt. 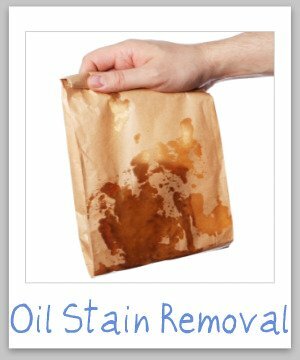 Oil and grease stains can not only get on your clothing, however, but also on your carpet and upholstery, if we eat near these surfaces or from a greasy bag or box of pizza, for example. 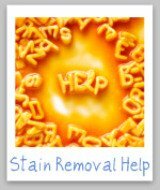 Grease and oil stains are some of the most common stains out there, and below are instructions so you can remove them and get back to enjoying your food. Step 2: Rinse the stained area well, flushing away both the oil and grease and the dishwashing liquid solution. Step 4: Launder in the hottest water allowed for the fabric to thoroughly remove the stain and the grease and oil. You may also want to watch these videos and other discussion about this technique for how to remove grease from clothes. 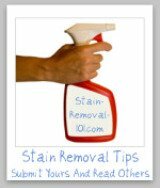 Step 1: Blot up as much of the grease or oil as possible from the upholstery without spreading the stain further. 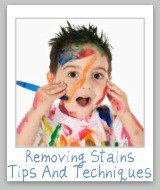 Step 2: Place an absorbent, such as cornstarch or baking soda, onto the oil stain, and let it soak in for approximately 15 minutes. Hint: Depending on the amount of the grease or oil spilled you may need to repeat this step several times until no more is absorbed by the baking soda or cornstarch. Step 4: For the grease and oil still remaining take a clean white cloth and sponge the stain with a dry cleaning solvent. Once the stain from the oil and grease is gone use plain cold water and a new white cloth and sponge the area to remove the cleaning solution, and then blot dry. Hint: Be sure to get the upholstery only as wet as necessary for grease and oil stain removal. 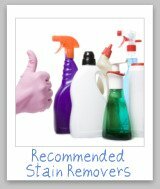 The instructions for grease and oil stain removal from carpet is the same as for upholstery. 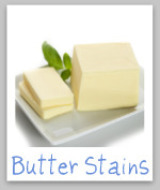 Do you have your own stain removal tip for removing stains from cooking oil and grease? 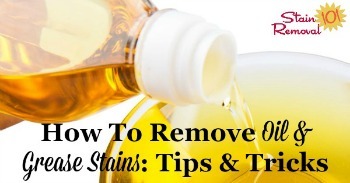 If so, submit your tip about how to remove oil stains here, or read other tips that have already been submitted.